Our Guest Snowflake Milky Way Soap Mold features five different wintery designs so no two of your snowflake soaps have to be alike! This mold is great for the holidays or to use all winter long. 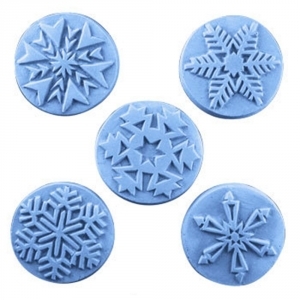 Soap Bar Dimensions: 2" x .75"
Notify me when Guest Snowflake Soap Mold is in stock.